Flash to Pass - Develop mastery of math basics. "How to Make Origami" - The "How to Make Origami" app is simple and easy to use. Follow the step-by-step instructions and watch the 3D animation carefully. And don’t worry, you’d have to try really hard to get confused. Khan Academy - Covers number of topics, including K-12 math, science topics such as biology, chemistry, and physics, and even the humanities with playlists on finance and history. Kid Apps: All in 1 - This application to teach your young children fundamental reading, writing and math skills. 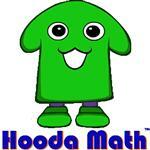 Kids App has 17 different apps ranging from math games, over 800 flash cards, interactive tracing drills and more. 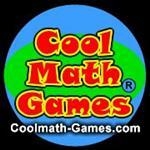 Math Drills Lite - Learn Basic Skills: addition, subtraction, multiplication and division. Math Quizzer - Boost skills in Addition, Subtraction, Multiplication & Division. My Math Flash Cards App - My Math Flash Card App is for mastering basic elementary math facts. Its an easy to use and customizable application to enable focused learning. Addition, Subtraction, Multiplication and Division Cards. *From the BPS Office of Information & Instructional Technology.